Ritam Technologies, LLC is celebrating over 35 years serving our industries with innovative products and services. In 1981, we began working with users to automate tedious billing and management functions and to provide tools that saved time updating customer records and tracking equipment. 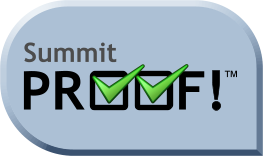 We have been building on this foundation from the very beginning, creating excellent management tools and building on the quality you find in every one of our Summit software products. Our beginnings can be traced to the beginning of the computer revolution in Silicon Valley in the early 1980's. We began developing Summit software in response to the needs of the long-term equipment rental business, being the first to introduce mapping software to our industries. 1997 and 1998 saw the rebirth of our product lines by completely re-writing our DOS® and early Windows® products from the ground up for Windows® 95 and 98. Evolutionary changes since then have kept up with new releases from Microsoft® of the Windows® operating system and Office product lines up through Windows® XP, Vista, Windows® 7, 8 and now Windows® 10 as well as Office XP through Office 2013 offerings. The Summit family of software products has also expanded from our basic offerings to include additional tools, some integrated, some providing a stand-alone functionality, for more comprehensive business management. We advertise in the PRO, Pumper and Cleaner magazines. You may see us at the annual WWETT - Water and Wastewater Equipment Treatment and Transport Show (previously Pumper & Cleaner Environmental Expo). (Dates and location vary. See details).